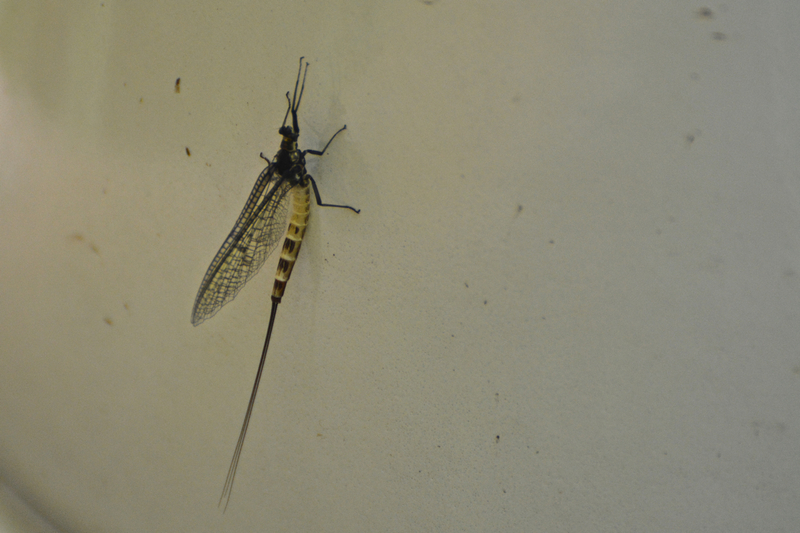 I was in Ireland this year at just the right time for the Mayfly. 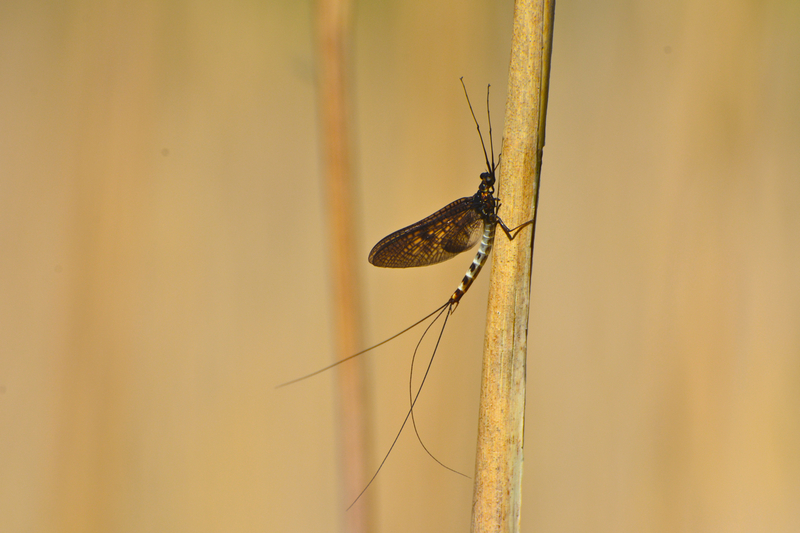 Large quantities of these ancient insects crawl out of the limestone lakes and crawl up reeds to hatch into adults. 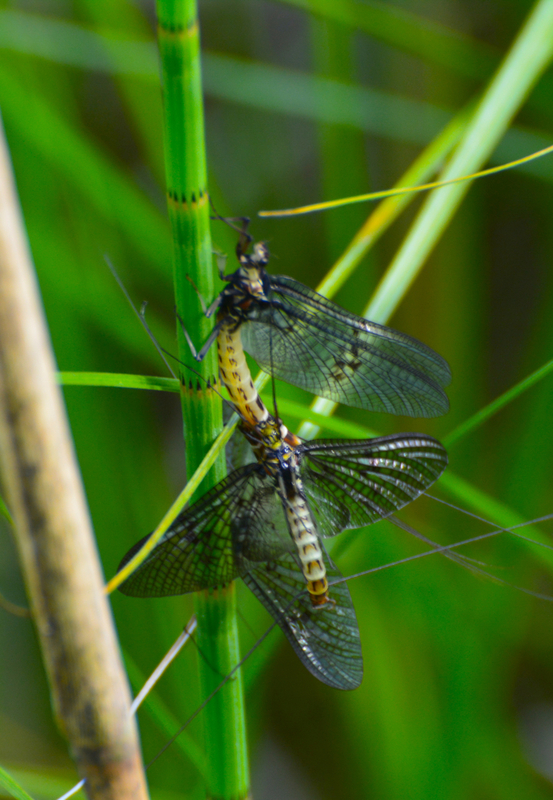 The nymphs live for two years in the water but only a few hours or days as flying adults. 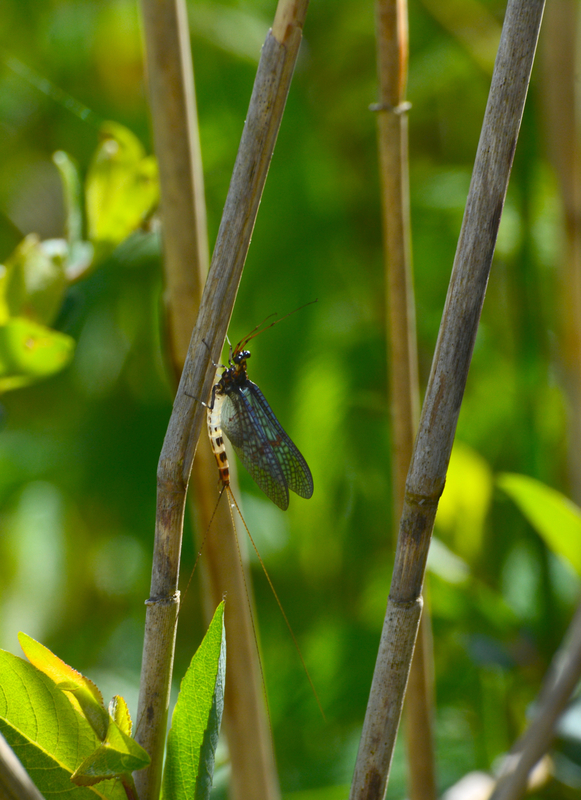 They are the only insects to have two adult stages. 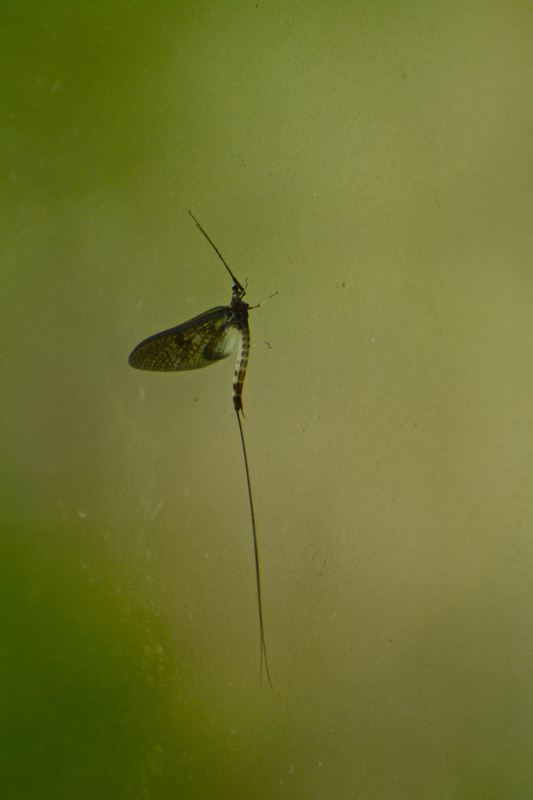 The first stage are the subimago that hatch on the water after the nymph gets to the surface. The second stage adults are the reproductive spinners that emerge from the subimago after they are out of the water for a few hours. 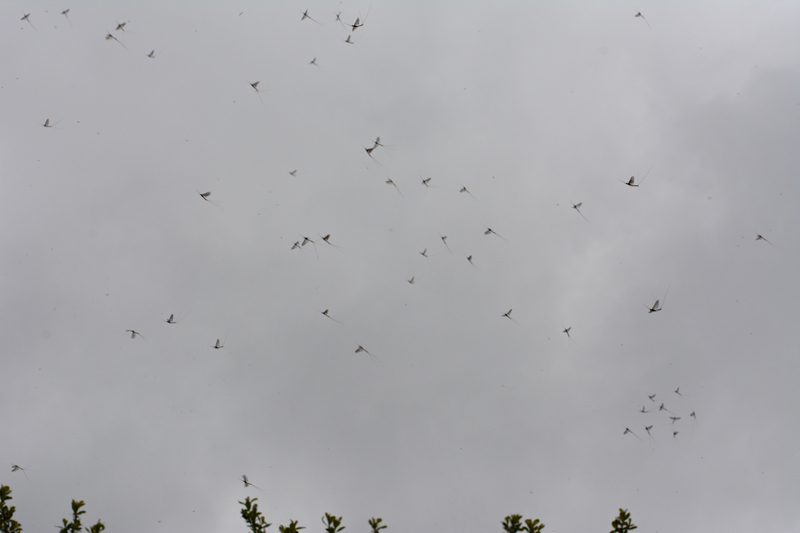 They form large swarms as they look for mates. 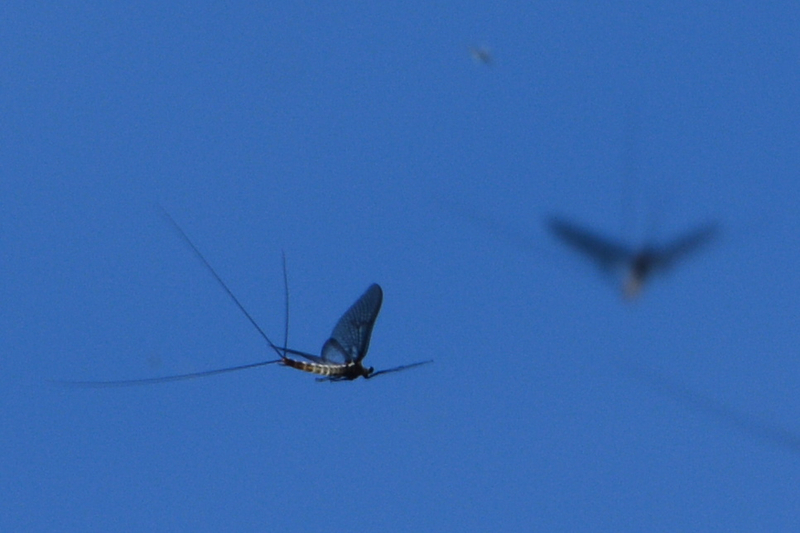 After mating the females lay eggs on the water. These hatch into the nymphs. 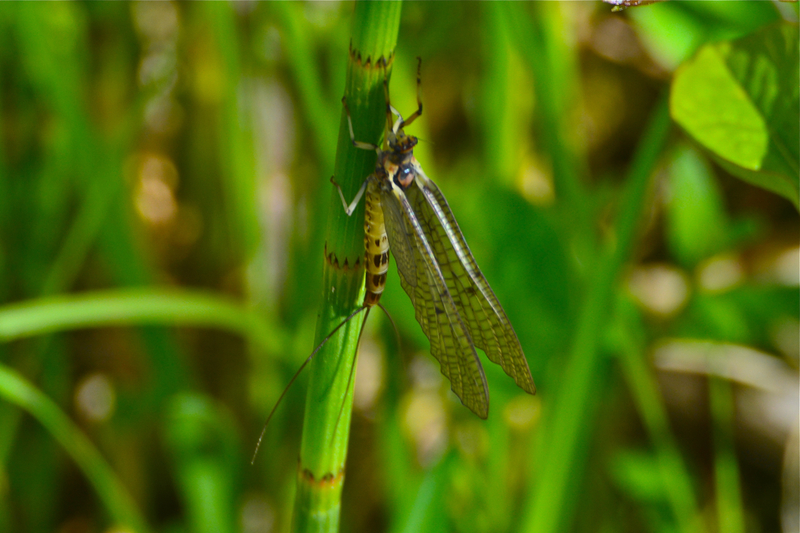 Mayflies are beautiful insects that provide large amounts of food for fish, birds and even mammals in late Spring and Summer. 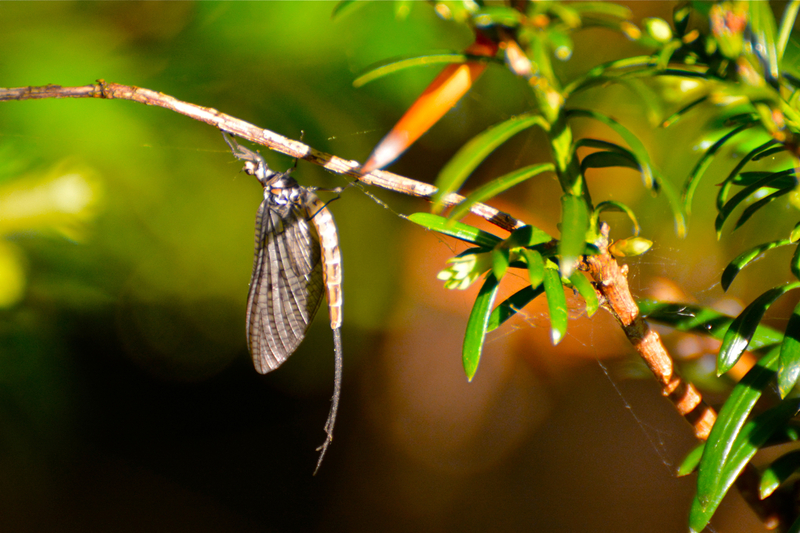 Many fishing flies are based on mayflies and in some places, including Ireland, real mayfly spinners are used for a type of fly fishing – called dapping. 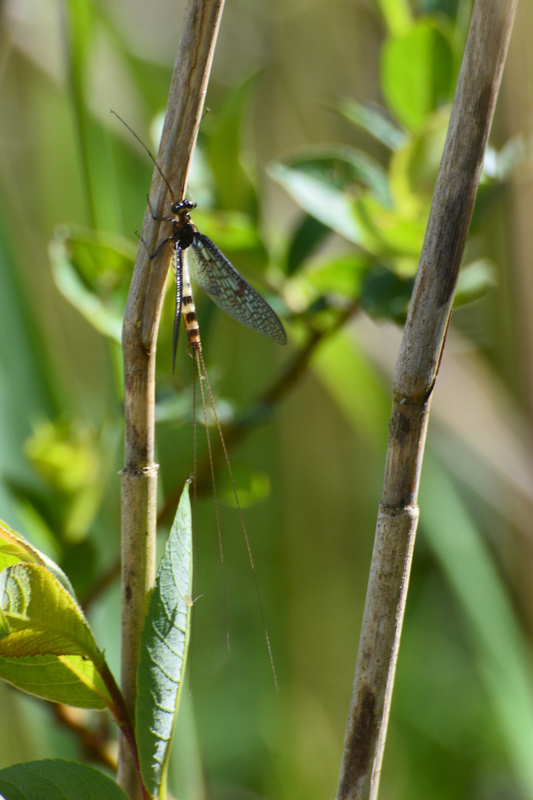 This entry was posted in environment, fishing, General, insects, Ireland, Nature, outdoors, photography and tagged Artificial fly, Biology, environment, Fish, Flora and Fauna, Fly fishing, Insect, Insects, invertebrate, Ireland, lake, Mayfly, nature, Nymph, outdoors, Water. Bookmark the permalink.